in pursuing research as a career. 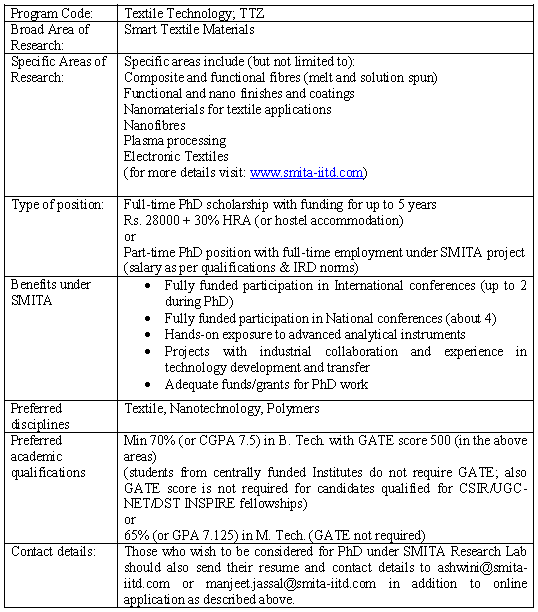 Interested candidates (in final year or already graduated) should apply for PhD admission online by March 31, 2016 (Last date for applications) under the Department of Textile Technology, IIT Delhi. For more details about the application procedure and to apply online.